I recently found myself in a Buddhist temple in Singapore admiring a very large painting. I moved in closer to take a look at the color blending techniques, the strokes, and to examine in more detail the composition and harmony. To my surprise, I realized the painting was not painted but rather, it was embroidered. It was an embroidered “painting” made of thousands and thousands of hand-stitched silk threads. 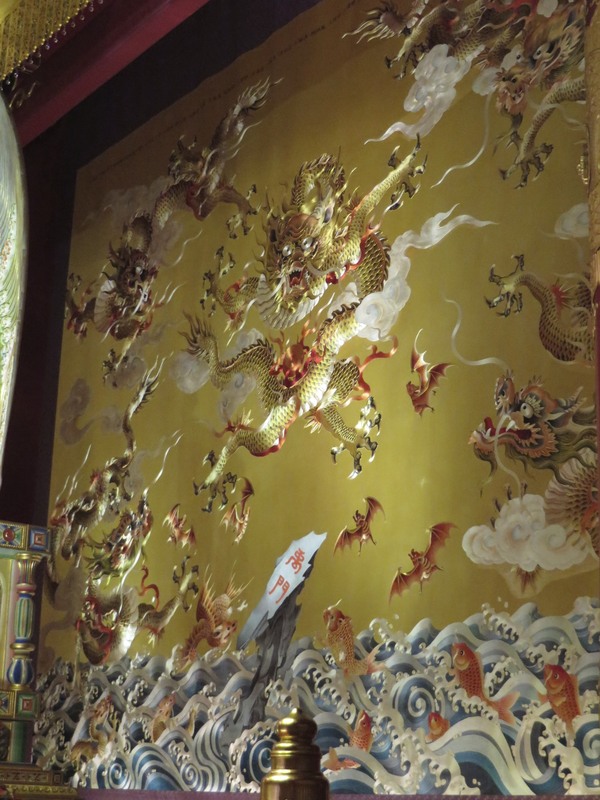 Embroidered wall at the Buddha Tooth Temple Relic and Museum in Singapore. This is the world of hand-embroidery, a quickly disappearing craft today, but with deep roots in generations of tradition in countries across Asia such as Thailand, Vietnam, China and India. In rural areas throughout Thailand, villagers can earn extra income by using their artistic talent, the gift of creating stunning embroidered works of art. Thanks to her Majesty Queen Sirikit, the art of hand embroidery has been successfully preserved as a viable craft for artistic, cultural and commercial objectives today. In the 1970s, her Majesty Queen had founded the Support Foundation to help Thai villagers in the southern provinces to become more self-sufficient and create a new income stream with embroidery work. Since the project was widely adopted, the traditional techniques and skills around hand embroidery were handed down through the generations of artisans. 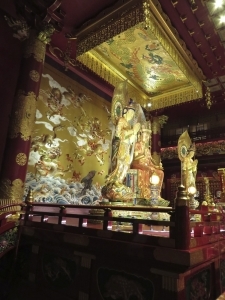 As for the technique behind the embroidery, thin silk threads are used to give the final artwork a smooth, shiny, and subtly textured appearance. The artisans embroider from templates or drawings that they make themselves or from templates given to them. 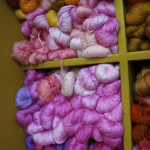 In the tradition of hand-crafted authenticity, the raw silk threads are dyed into hundreds of subtle hues in order to create the real effect of light and shadow. 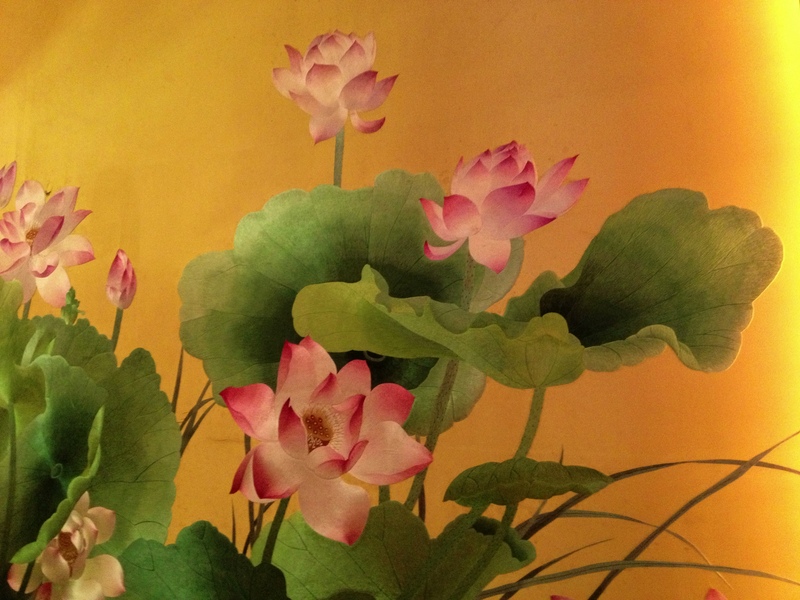 It is through this meticulousness that the paintings look so real, as if they were real paintings. 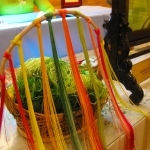 These same brilliantly dyed threads are used to weave silk fabrics sold in markets throughout Thailand. At a Thai Silk Market in Bangkok. Thai hand embroiderers have become so skilled that in 2007, the Queen commissioned an annual competition to identify the best works of art and to inspire future generations of Thais to uphold the hand embroidery tradition.